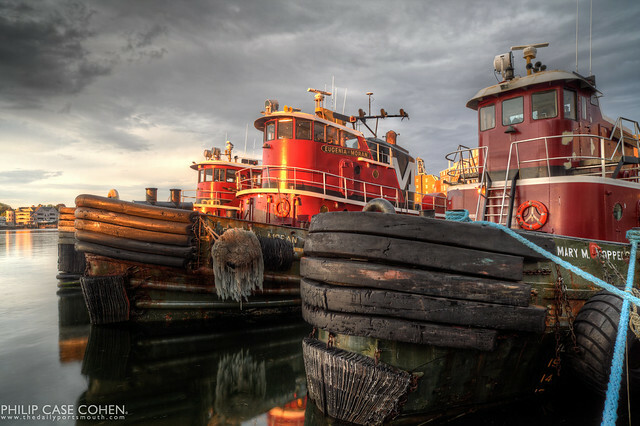 This shot celebrates the tugboats – as they’re embraced with the powerful last rays of the stormy late afternoon’s sunlight. I was shocked when I got outside after an intense thunderstorm to see that the sunlight was making its way through some intense afternoon clouds. Making the evening even more stunning was the fact that it was still sprinkling – and later rained heavily. I got some keepers from a quick walk around Market Square…and will be posting them through the rest of the week. If April showers bring May flowers – what do May showers do? One of the best images I have ever seen of the Portsmouth Tugboats. Beautiful.